Under Construction. SPECIAL PHASE 2 GRAND OPENING PRICING FOR A LIMITED TIME ONLY. PROMOTIONAL CREDITS, PRICING AND AVAILABILITY ARE SUBJECT TO CHANGE WITHOUT NOTICE. Live every day like you 8217;re on vacation as this gated community has a resort-style Pool, open-air fire pit, and gathering areas in a landscaped courtyard, as well as a dog park. The beautifully designed modern urban community is located just north of charming Historic Kenwood. The Violet plan is a spacious open floor plan with private balcony off the owner 8217;s suite and front porch off the dining/living rooms for relaxing or entertaining. This home has a private corner location and includes a Gourmet Kitchen package, Quartz counter tops, 42 European Style Cabinetry, GE Stainless Steel Appliances, Wood Laminate Flooring and 12 x 24 Ceramic Tile in wet areas, and a 2-car garage. Enjoy the comfort and security of concrete masonry on all levels. Low maintenance lock-and-leave lifestyle with fee simple townhome living and low HOA fees. Estimated home completion in summer 2019. 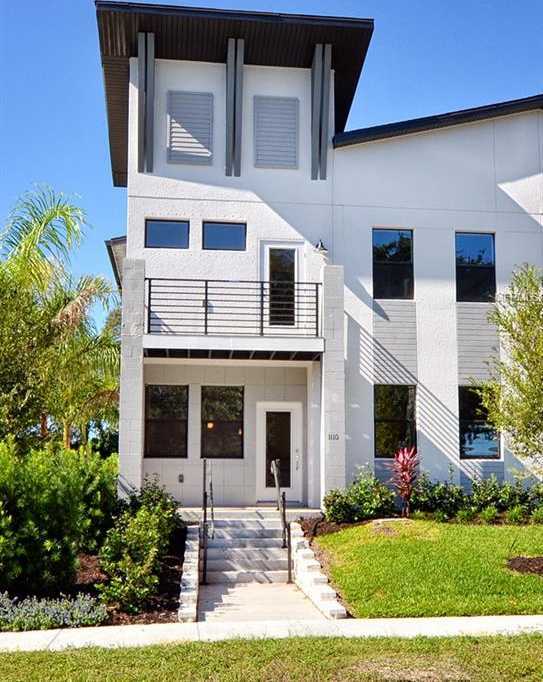 Uptown Kenwood is an enclave of 69 townhomes located only 2 miles from Downtown St Pete. Designer furnished model home is open daily from 12pm to 6pm or by appointment at 1110 25th St N, St Pete, FL 33713. Please, send me more information on this property: MLS# T3165721 – $468,845 – 1100 25th St N #1, St Petersburg, FL 33713. I would like to schedule a showing appointment for this property: MLS# T3165721 – $468,845 – 1100 25th St N #1, St Petersburg, FL 33713.